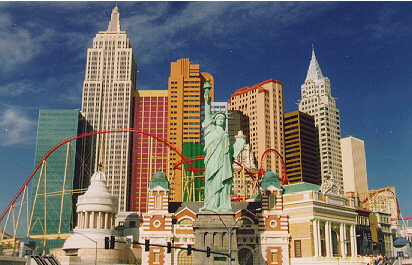 Karl and I moved to Las Vegas on September 1, 1996. Using the links I have listed helped us tremendously. We were able to find apartments and job locations which we checked out once we got there. One thing we have learned most of all is that if you don't have a job it is tuff to get an apartment and if you don't have a local address in Vegas it is tuff to get a job there. You can receive a mailed envelope full of useful information for 12.00 from-Best in Vegas just fill out the form and they will email you in about 1 week giving directions on how to obtain the packet. See Ya in Vegas! It took us 3 days(36 hours) of driving to get to Las Vegas. Starting from Traverse City, MI we stopped at a Comfort Inn in Davenport, IA and stayed the first night there. 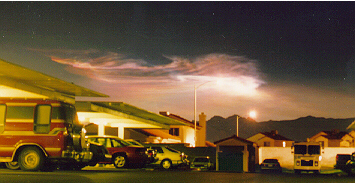 Then we drove to a Super 8 in Denver, CO and spent the second night there. The next day was the day of reckoning! I have to say that Colorado was the coolest state that I have ever driven through, we reached a peak of 10,800ft. above sea level. 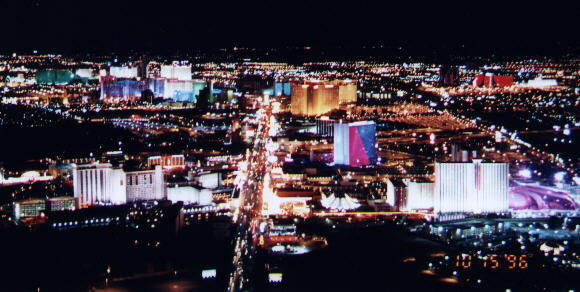 Then Wednesday at 3:00 A.M. we arrived in Las Vegas, NV. We stayed at the Lady Luck Casino for the night. Thursday we woke up and found us a apartment which we had to pay two months rent up front. We were able to move in by Friday, September 6. By Monday the 9th I was hired by Bally's Las Vegas as a Floorworker! I never thought I would get that lucky to land such a great job as soon as I did! I had to complete a drug test, receive a Alcohol Awareness Card(TAM), and a Sheriffs Card(Gaming License) in order to be able to begin working. The drug test consist of urine and a hair test, the Alcohol Class to receive your TAM card is 4 hours long, and if you are under 25 years of age have your Birth Certificate available(I had to send home for mine) for receiving your first Sheriffs Card. It has become a wild experience but well worth it. 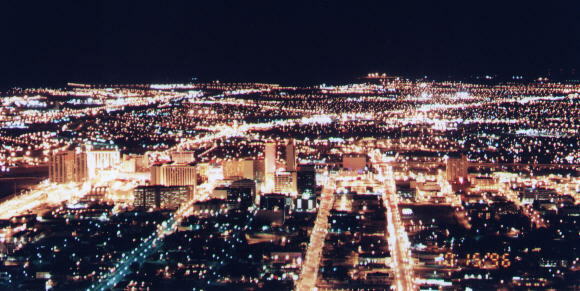 These are some photos I have taken on top of the Stratosphere! The first is the north side of town and the second one is the south side of town. 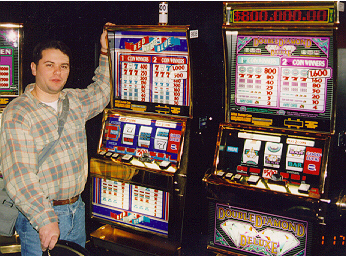 Since being in Las Vegas I have had a chance to see and do things which I think that I would have never taken the chance to do if I would of stayed in Traverse City, MI. 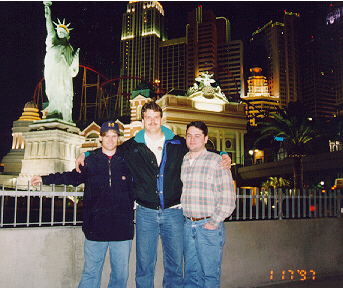 Damon, Karl and myself in front of New York New York! Who knows what this is maybe just some more Military Testing? Important links which I found useful Information to help me with the move. Questions or comments? Click on mailbox.